Safe roof cleaning services for Ormond Beach and the surrounding areas, protect and prolong the life of your roof! 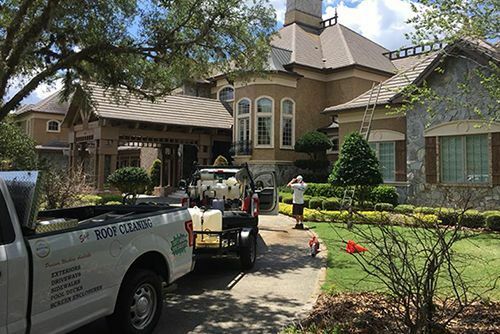 Roof-Bright of Florida has been cleaning shingle and tile roofs for commercial and residential clients across Volusia and Flagler counties since 1990 and our low-pressure cleaning system is a safer alternative to pressure washing. This roof cleaning system has been used to safely and effectively clean over 10,000 roofs in Volusia and Flagler counties. We are the roof cleaning experts for Ormond Beach and the surrounding areas. Does your roof look dirty? Often mistaken for dirt or soot, those dark stains on your roof are a fungal infestation that can reduce the lifespan of your roof by as much as 7 years! Our exclusive HVLP (high-volume, low-pressure) system, in conjunction with a custom blend of biodegradable mildewcides, algaecides, and soap products, will safely restore your roof to its like new appearance without the use of high-pressure jets that can damage your roof. We will clean your roof by removing algae, stains and debris to make it look like new again. 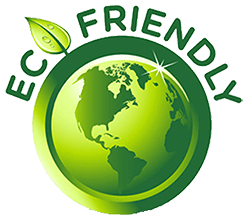 While safely cleaning your roof we are also careful not to damage your plants, flowers and trees. A clean roof not only looks great, it lasts longer. We can also maintain your patio, driveway, deck and other outdoor areas by keeping them clean and looking new again with regular pressure washing. Protect your investment. Call 386-788-4538 for your Free Roof Cleaning Estimate today! "Best Roof Cleaning Company" 20 years in a row! Copyright © 2018. Roof-Bright of Florida, LLC. All Rights Reserved.